They don’t know what she was thinking, what she was up to, or how she survived last weekend’s blizzard, but a dog who ran away from home has returned — about a week after she first went missing. It’s all thanks to a woman who saw the little dog by the side of the road, and just couldn’t pass by without helping. 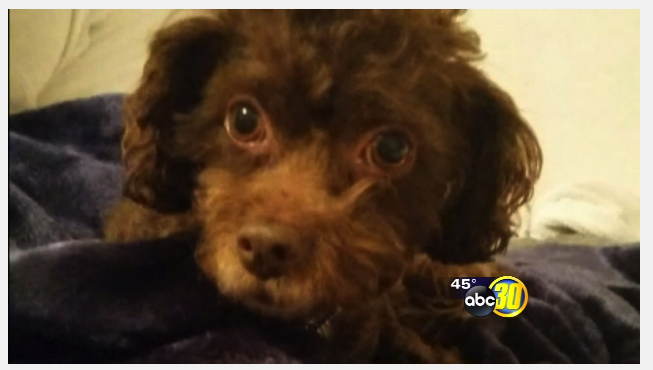 Last weekend, the Picard family’s calls searching for their dog Daisy went unanswered. But tonight, she is back home with them. It was last weekend when, returning as the snow came down, the Picard family was unloading the car from a grocery trip. Daisy darted out. “We were bringing things in and she just scooted out,” said Helen Picard. The family was panicked. They live right along the Mass. Pike and they feared the worst. They searched for Daisy for hours. They called the local police and the state police. But no one had seen Daisy — or so they thought..
A local family is sharing their story to raise awareness so no one else searching for their lost animal is targeted. Amy and Jason Morris describe their foster dog, Nutella, as a calm and sweet companion. “She was very low maintenance, very cute. She would come, if I sat on the couch she would come just jump up put her head on my lap,” said Jason Morris. Many of us consider pets like Scout to be a member of the family. But when those precious pups go missing, there’s not much that can be done if they’ve fallen victim to this latest scam. “Our little silky terrier, it’s a sub breed of a Yorkie got out one day,” said Aaron Lowe. Lowe says 11-year-old Sushi went missing on December 5. That afternoon Lowe got a call from someone claiming they had found the dog, but the caller said Sushi ran away from them. Sushi was chipped, so the Lowes alerted the local shelters, and the microchip company as well, but Sushi was never found. Then the Lowes found something strange. 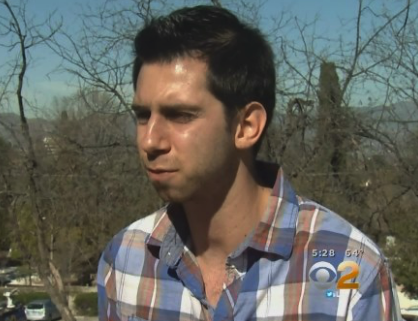 “My wife actually found Sushi for sale on craigslist. And the contact number for craigslist was the same number that had contacted me letting me know they had found my dog,” said Lowe. The mix-up occurred as the shelter fights a social media backlash over the rate at which it euthanises cats and dogs. Existing and former staff say it does not try hard enough to rehome healthy animals. Fonzie had been missing since January 2, after fleeing his home during a storm. 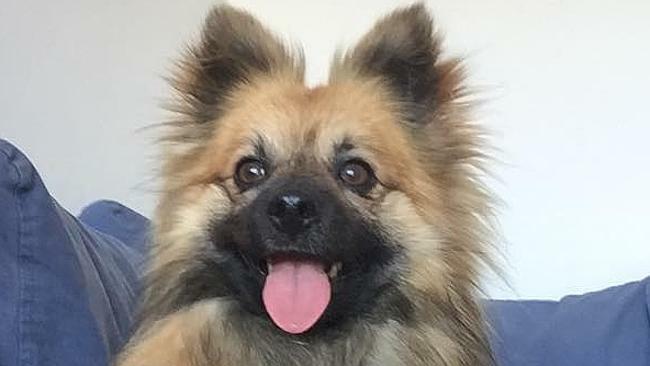 Nadia found her grandmother’s two-year-old Pomeranian cross on a council website on January 11 and rang the North Melbourne shelter an hour before it closed, fearing he might already have been put down. Nadia said she arrived at the shelter from Frankston the next day, but after three hours was told the dog had been euthanised that morning. “I know we came in after the (eight-day) legal time they can keep them, but he would still be alive if they had taken the time to help me properly when I rang,’’ Nadia said. 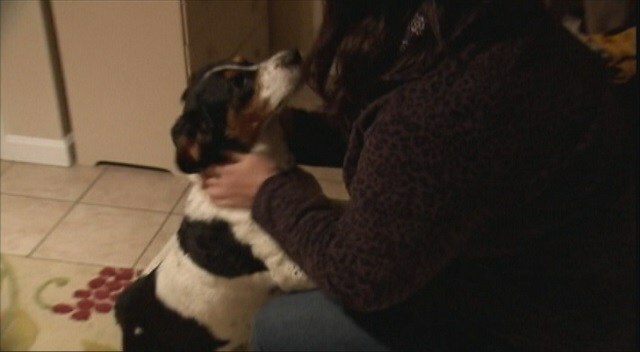 A local man who lost his dog nearly four years ago has been reunited with the beagle-Chihuahua mix. The dog named Mikey was originally rescued by Nick Garmyn from a shelter in Northridge 3 ½ years ago. But one day, when the door was left open by one of Garmyn’s roommates, Mikey went missing. “I searched high and low. Put lost posters everywhere. Posted on every website I could think of and basically with no luck,” he said. 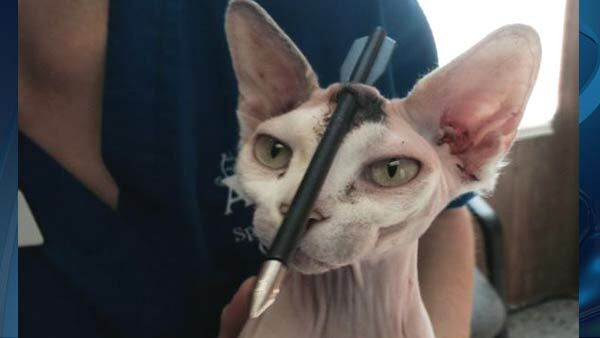 A Florida group offers a $750 reward to find animal abuser who shot cat’s head with arrow. Akila, a 7-year-old calico Sphynx cat, went missing from her home in Riverview, Fla. last Tuesday. She turned up as a victim in a horrible animal abuse case, WFLA Florida reports. Owner Tyra Bullock began a search as soon as she realized her cat went missing, knocking on doors and looking everywhere for her beloved pet, with no luck. Being a Sphynx cat, Akila has very little protection against the elements. Bullock worried the cat would either be burned by the sun or frozen by the cold of night. The cat’s fate was worse than Bullock imagined. Akila had been shot through the head with a large arrow and suffered horrendous pain. According to her veterinarian, had the arrow pierced the cat’s skull, she would have died instantly. Fortunately, the arrow missed her skull, and instead pierced only flesh. “She’s a very, very lucky girl,” Bullock told WFLA. Three years ago, a dog went missing from the backyard of a family in Tracy. They nearly gave up hope that their beloved pet would ever be found. But on Monday, they received a call from a shelter in Oakland. Hana’s coat tells the story she cannot share — half her fur is gone and her legs are in constant motion to fight the itching. She was picked up as a stray Jan. 9. Oakland Animal Services recognized her as a valuable purebred Shiba Inu. They found her microchip and from there it was just a few phone calls before her family knew Hana was alive. On Monday, Ian McNesby drove from Tracy to identify the dog he thought he lost three years ago. He was too nervous to tell his family. Thanks for your help, we located him a few hours ago. You run a great service and I'll be sure to let my friends know all about it!